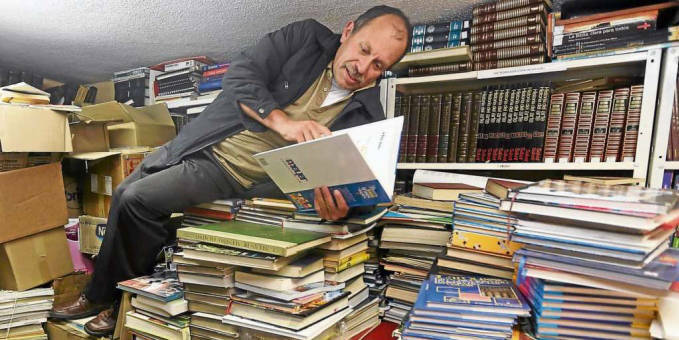 In today’s heartwarming book news, a garbage collector in Colombia made news for fishing out discarded books to add to his personal library. He opens his ever-growing library to low-income kids. Talk about a man with a heart of gold. Jose Alberto Gutierrez, of Bogota, Colombia, has helped educate young children through the written word for over 20 years. Known as “The Lord of the Books,” Gutierrez has built a personal library of over TWENTY THOUSAND books (!!!) that he shares with neighborhood kids. He named his library “The Strength of Words” to impart the importance of strengthening the mind through reading. These are serious personal #goals. Good on you, Gutierrez. Featured image courtesy of GonzoToday.